← “You’ve done the most amazing thing….” …uh oh!….perhaps an alternative? 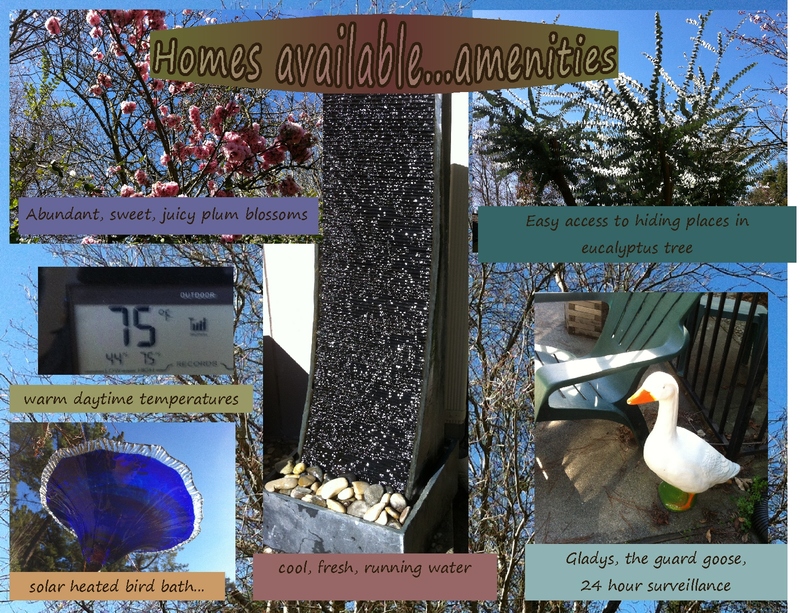 Spring “Open House Season” begins… homes available…nesting instincts! Spring “Open House Season” begins! need to figure out how to hang these houses! and checked out a blue jay nest from last year! 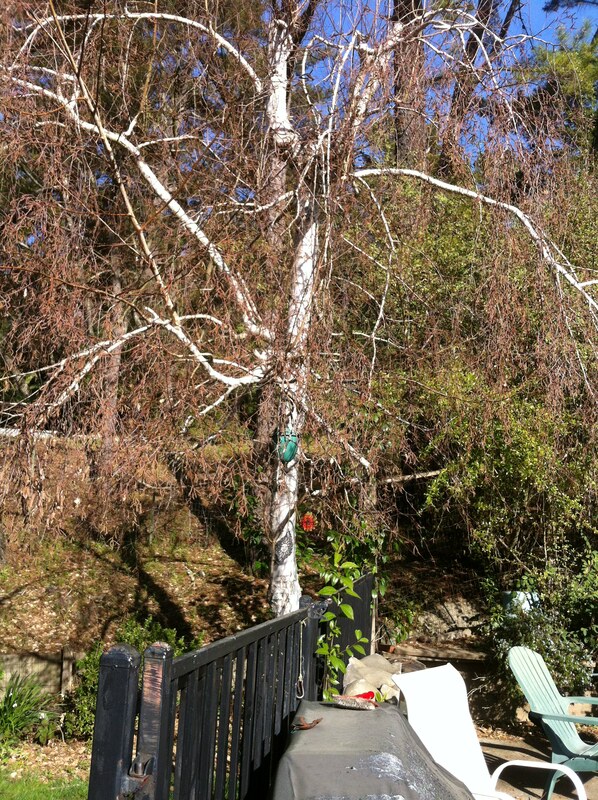 up in the the birch tree! right near the bird houses! blue jays “bother” the little birds! And…maybe the blue jays will find a new spot for their nest?!?!? This entry was posted in Appreciation and tagged Animals, Appreciation, Happiness, Inspiration, Life, Nature. Bookmark the permalink. 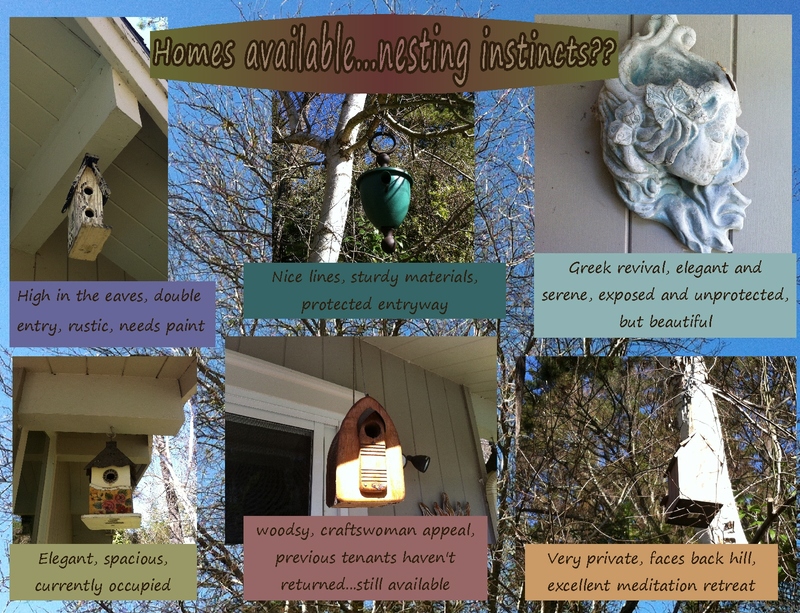 9 Responses to Spring “Open House Season” begins… homes available…nesting instincts! I WAS having FUN until those blue jays flew by! But they didn’t arrive back! The neighborhood might stay safe! Oh, Mom! This is just delightful! Deee-lightful! C’mon, birds! Up and at ’em! Maybe the wild turkeys in the pine trees and the chickens next door are keeping the little’uns away? Along with those darn blue jays! Hi Julie! The chickens are gone…thank goodness! That cluck cluck cluck in early mornings was a bit irritating! No wonder I can sleep til 7 now! Ah ha! 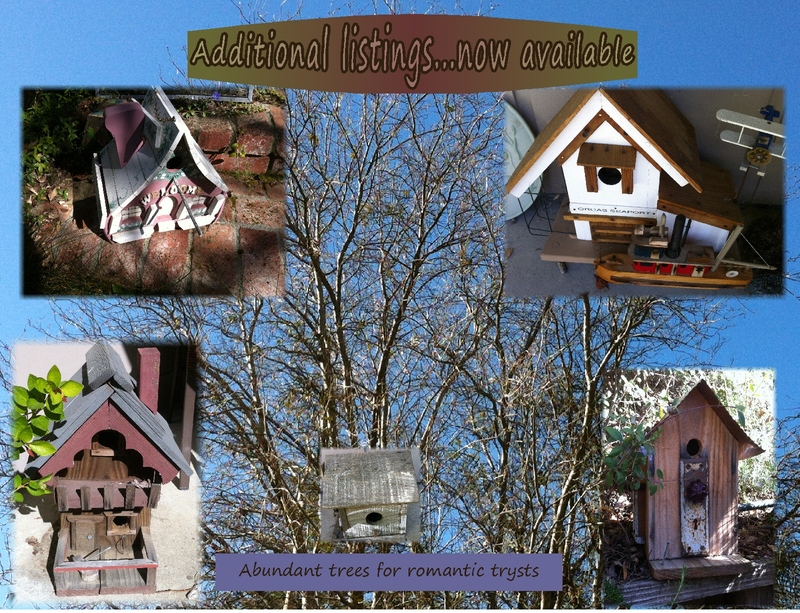 Maybe the wild turkeys will scare the blue jays away?….but…hmmm….maybe that’s why the bird houses seem quiet??? ?…the turkeys!?! I had fun with the post, until the blue jays flew through. btw…I haven’t seen the blue jays again so maybe they won’t come back. It’s so special that the baby birds are safe in the houses…. babies in nests in the eaves and trees often don’t make it, so the houses help. And yes…those turkeys are soooooo strange sounding… very unusual…maybe it’s a California accent?